Divorcing couples in Texas have many concerns to field before a divorce is final. One of the most common points of contention in divorce is often property. Anyone preparing for a divorce needs reliable legal representation to ensure a fair division of property. Abraham Kant Esquire of SSJM Family Law understands how a divorce attorney can impact a family’s future and will go to great lengths to ensure our clients’ experiences with Texas divorce proceedings go as smoothly as possible. If you own property and are heading for a divorce in Texas, the right family law attorney in Austin can make a tremendous difference in the final determinations about property division. Austin asset protection attorney Abraham Kant is here to help; contact him today to schedule your free initial consultation. Asset protection is an important part of family law and a major focus of our representation for clients in divorce cases. Texas is a community property state, meaning that all assets in a marriage fall under “separate” or “community” categories. When a couple divorces in Texas, shared or community property is subject to divisions, while each spouse retains his or her separate, individual property and assets. While some people may opt for a Domestic Asset Protection Trust where available, Texas does not have any domestic asset protection trust laws. Instead, Texas has robust property laws that prevent many types of personal property from qualifying for division in divorce proceedings. Some couples opt for prenuptial contracts or marital property agreements. These contracts aren’t always feasible for every couple, however. Instead, an Austin asset protection lawyer can help a divorcing spouse in Texas find the evidence needed to prove ownership over supposedly shared assets. For example, if one spouse claims that the couple’s shared bank account should be equally divided, the other spouse’s attorney may wish to look at the deposit history to see whether funds were placed in that account from property that should be characterized as ‘separate’ property. Texas affords property owners a great deal of protection and flexibility when it comes to their personal property. The law defines separate property as any assets a spouse owns before a marriage begins, assets acquired through inheritance during the marriage, and any assets obtained as part of a civil action judgment, such as pain and suffering or property damage compensation. However, compensation for lost wages or income falls under community property and will be subject to division in a divorce. One of the most important aspects of asset protection for divorce proceedings in Texas is evidence. The burden of proof falls to the individual asserting that a piece of property or an asset is separate property. The right Austin asset protection attorney can help you gather the documentation and evidence you need to prove your rightful ownership over a contested asset or piece of property. Abraham Kant Esq. has dedicated his practice to family law. 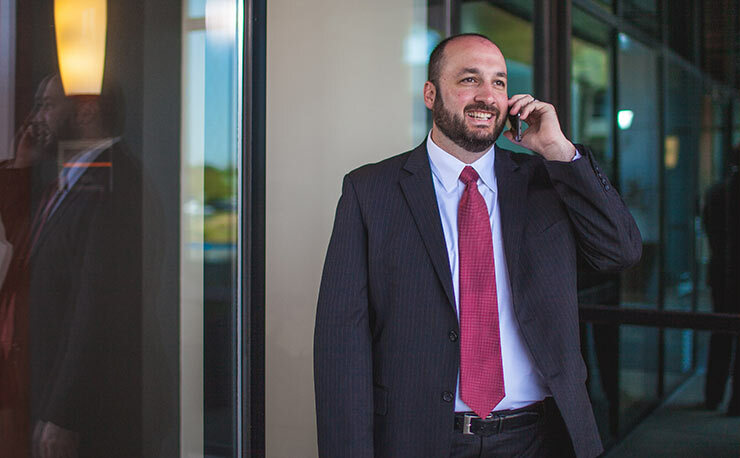 His experience and resources as an Austin asset protection attorney go to work for every client. Asset protection is an important part of any divorce case, and Mr. Kant is committed to ensuring his clients retain their rightfully owned personal assets and property. If you are interested in how our firm can help with your impending divorce proceedings, reach out to our team today to schedule a consultation with one of our Austin asset protection lawyers. Every client receives personal attention from our firm partners to ensure the best client experience possible.